The Chevy Corvette is one of America’s most successful sports cars. Starting in the 1950’s, each year the Corvette has adapted to the trends and made itself stand out among other sports cars throughout history. Through body changes and engine changes, one thing has always remained the same, the Corvette is a car which deserves to be recognized. To help you keep your Corvette running well and look the way you want it to look, GM-Car-Parts.com offers you the genuine OEM parts you need. From headlights to interior trim features, you can find them here. Order your parts at GM-Car-Parts.com and enjoy the convenience of online ordering with the customer service you like from in store shopping. Be sure to include your VIN when placing your order so that we can make sure you get the right part you need for your Corvette. Click on the parts logo below to start browsing the rest of our parts and accessories. Front Set- Ebony w/ Zo6 Logo (For use on models w/ hook and grommet retainers). The Chevy Corvette represents one of the finest sports cars ever made. From power to class, the Corvette has it all and we understand that when you have a car that has it all, you want to have all the best there is to offer. 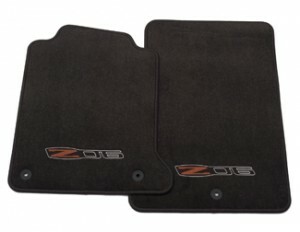 Whether you are making your car look nicer, making it run better or just protecting it from the elements, we have the parts and accessories you need for your Corvette or other GM vehicle. 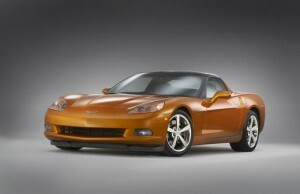 Let GM-Car-Parts.com be your source for all your genuine GM and OEM car parts. If you have questions, contact us here to ask your question and start customizing your vehicle to be what you want it to be.